Can anyone do dialysis at home? If you are a highly motivated dialysis patient who wants to maintain an active lifestyle and take greater responsibility for your care, then home dialysis might be a good treatment option for you. You and your doctor will decide if home dialysis is right for you. Together, you'll discuss the quality of life benefits as well as any medical risks. Naturally, your doctor will use his or her judgment to determine whether you are a good candidate for dialysis at home and guide your decision based on your individual needs. 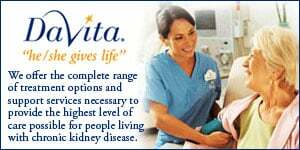 Are you a good candidate for home dialysis? Ability to learn and adapt - Home dialysis patients must be able and willing to learn how to do dialysis in their own homes. Normally, training sessions are conducted at a dialysis clinic. Most people learn how to do peritoneal dialysis within two weeks. Hemodialysis takes a little longer, typically six to eight weeks. Dexterity and vision - Home dialysis patients must have adequate manual dexterity and vision to operate the equipment, complete necessary paperwork, order supplies, and perform other basic dialysis-related tasks. 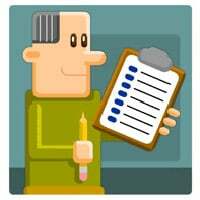 Reading and writing - Home dialysis patients must have basic reading and writing skills in order to read training manuals, order supplies, and complete some simple but important paperwork. Home equipment and modifications - Home Dialysis requires an adequate place to perform treatments, along with the proper equipment and supplies as necessary. Some homes might require plumbing and/or electrical modifications to accommodate home treatment (which might be covered by insurance). The type of dialysis treatment determines the type of supplies, equipment, and modifications that are necessary. Initiative and motivation - In order for home dialysis to be effective, a patient or caregiver needs to have a strong desire to take greater responsibility for patient care and closely follow their training and physician guidelines. Can you perform dialysis at home without assistance? There are multiple home dialysis treatment options. Many patients perform peritoneal dialysis at home with no assistance. In general, most home hemodialysis patients like to have a dialysis partner who can assist them with their treatments. This can be a spouse, parent, child, professional caregiver, or other responsible individual who can be relied upon to provide support. Is dialysis at home more expensive than in-center treatment? Home dialysis treatment has similar costs as in-center treatment. Medicare and most private insurance plans provide coverage for home hemodialysis for qualified patients.